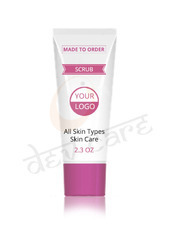 Body Scrub, Pack Size: 50 Ml. Habitat : Native to tropical Asia, and the West Indies; cultivated in California, Florida, Israel. Odour : Fresh, sweet citrus aroma. We are engaged in offering excellent quality Tulip Oil Control Moisturizer With Green Almonds Extract to our valuable clients. The protection enriched G&H Body Shampoo combines the freshness of glycerin and natural honey, which pampers your skin with rich creamy lather from head to toe. Personal care products including cleansers, soaps, shampoos, moisturizers, lotions, toothpaste, balms, and more. Silent Valley is India’s first indigenous body care essentials range made from pure and natural ingredients and that incorporate the EcoBoost technology. Silent Valley is founded on sustainable principles to provide the highest quality, pure, safe, natural, and affordable skin care and personal care products that are paraben free, cruelty free, sulfate free and effective on all skin types. Product Description:The perfect skin lotion to preserve your age.It makes the skin younger and removes deep seated grime from skin and treats wrinkles, ungainly spots and blemishes with a soothing effect, making your skin appear most youthful. R. D. M. Care (India) Pvt. Ltd.